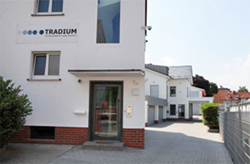 TRADIUM is a well-established company in the European market serving customers in various industries such as electronics, metallurgy, automotive, mining and defence. TRADIUM is recognized as a reliable and competent partner always striving to offer individual solutions for their customer’s needs. Since 2003 the company is certified according to ISO 9001. Se-Jong has selected TRADIUM as their exclusive partners to supply its products to the European market. TRADIUM has long-term experience particularly in the field of pyrotechnics for high quality products. No matter if for mining, airbags or defence, TRADIUM is well positioned in those markets. Apart from this TRADIUM will take care of all requirements that are related to REACH. MAIPEX SRL is a company based in Peru but with global reach, specialized in addressing the particular needs of the explosive industry in: raw materials (metal powders, energetic materials, ammonium nitrate and other raw materials), machinery (cartridge packaging machines, anfo machines, nonel manufacturing machines and other machinery), and technology. COPYRIGHTⓒ SEJONG MATERIALS INC. All rights reserved.